Waterman produced some beautiful rippled ebonite (hard rubber) vintage fountain pens around 1920 to 1930. Red ripple is not particularly uncommon, but the red ripple with nickel trim is much more rare. The blue-green ripple is very attractive, and both the olive and rose ripple are particularly beautiful. 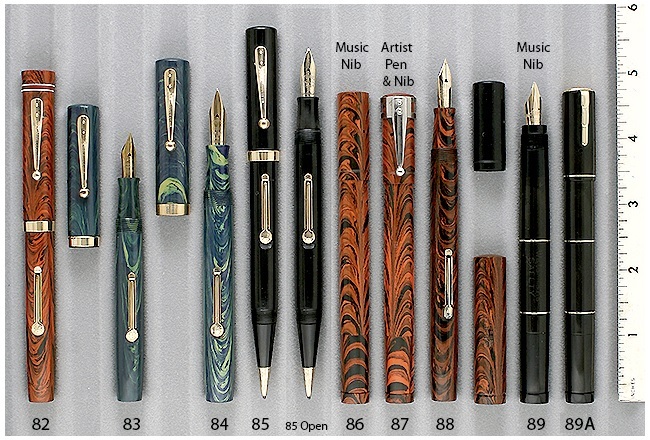 Although Waterman invested a lot financially to perfect their colored rubber, it could not compete with the celluloid pens that other pen manufacturers were producing. 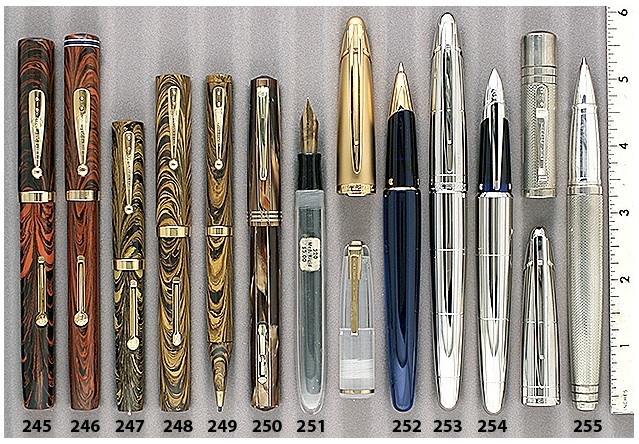 Waterman soon discontinued these rippled models to launch the Patrician, their first celluloid pen. 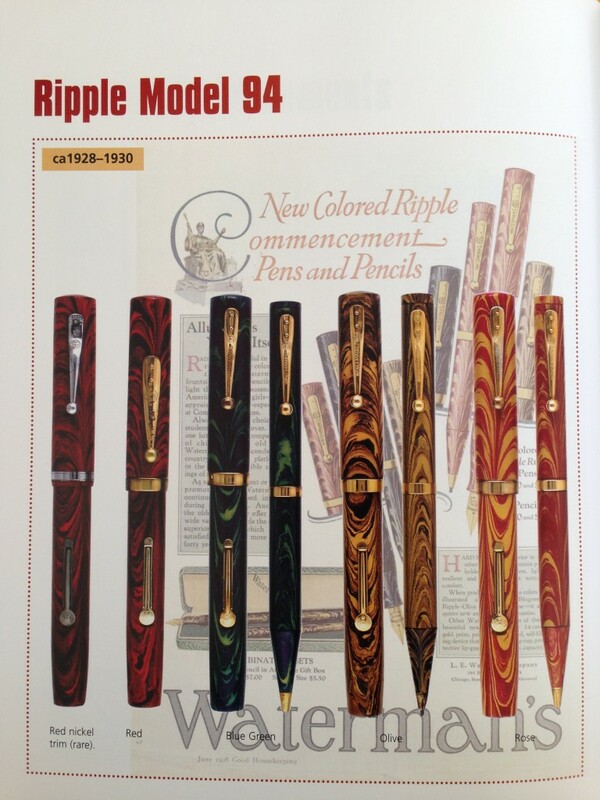 We had two blue-green ripples available in Catalog #74 – a 1928 Waterman 952VF lever-filler (Pen #83), and a 1928 Waterman 94 lever-filler with a 9K solid gold cap band (Pen #84). Both were beautiful specimens! We also have seen the gorgeous olive ripple in Catalog #71 -a 1928 Waterman 952V lever-filler (Pen #247), and a 1928 Waterman 994 lever-filler (Pen #248).